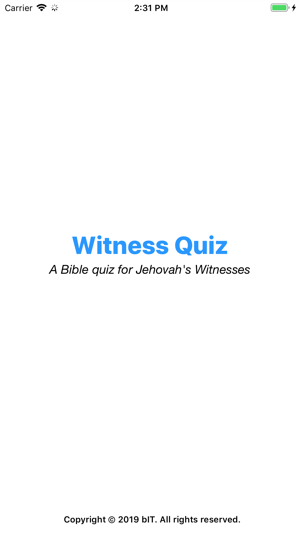 A Bible quiz for Jehovah's Witnesses with over 1,300 questions! 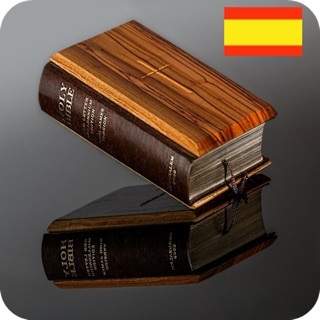 Test and improve your knowledge of the Bible. Translators wanted for the Portuguese questions. If you can help please, send me an e-mail (witnessquiz@gmail.com). 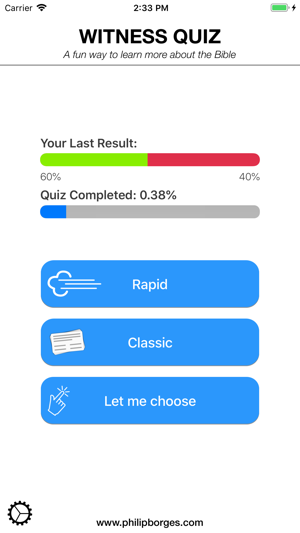 There are over 1,250 questions in the quiz and counting. 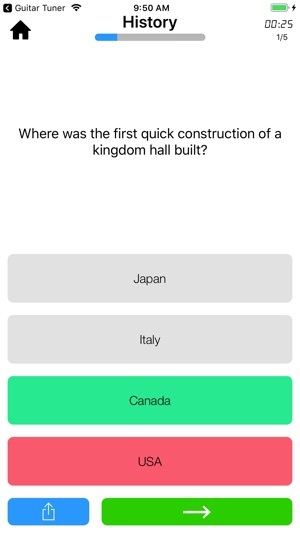 The questions are divided into 3 levels of difficulty and 5 categories mixed during gameplay. The questions are updated regularly and you will receive a notification when you can update them from within in the app in settings. Tap the question to get help. - The letter 'JW' has been removed due to copyright protection. 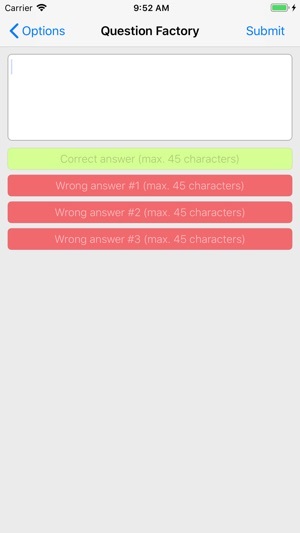 The app only requires internet connectivity when updating the question package. Other than that, you can play the game offline.